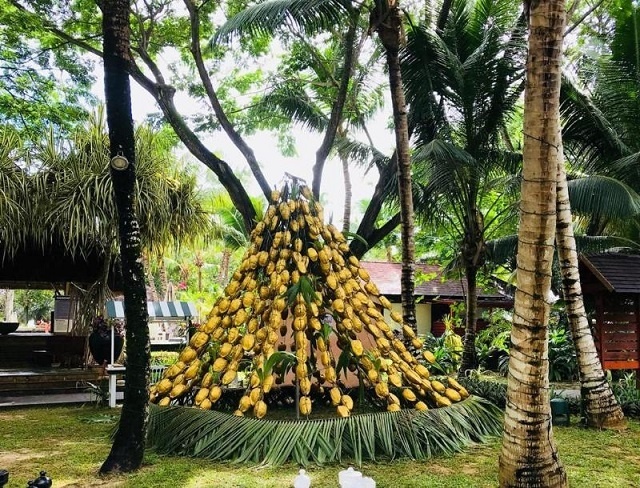 (Seychelles News Agency) - Hotels across Seychelles are bringing the Christmas cheer to their guests through a variety of themed decorations. Across the sea on Silhouette, Hilton Seychelles Labriz Resort and Spa chose to go with an eco-friendly décor. Vir Parkash, the executive housekeeper and quality manager, told SNA that this is in line with the establishment’s effort to decrease its footprints and eradicate plastic from the island. In 2018 the hotel has come up with many projects like an in-house water bottling plant to eliminate the use of plastic water bottles, and the use of pasta straws instead of plastic straws. Labriz also decided to go forward with eco-friendly Christmas decoration to reduce on plastic usage, said Parkash. 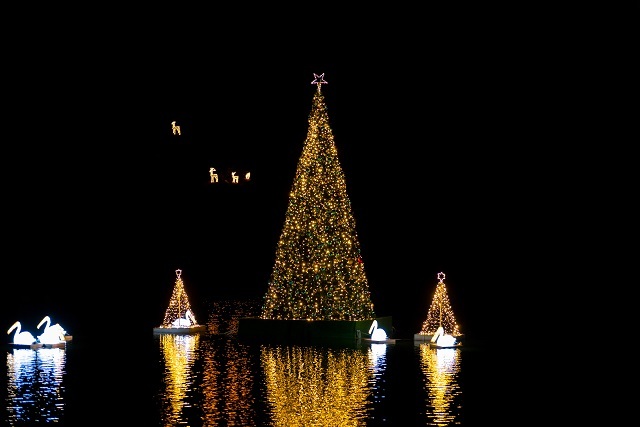 The main attraction is a central 3.5 metres high golden coconut Christmas tree. It is made from 400 coconuts painted in gold colour. Two of their other Christmas trees are made with bamboo sticks with the base covered with palm leaves painted in golden colour. On the main island, CaranaBeach Hotel in the northeastern Mahe district of Glacis has once more decorated the establishment in blue and white. The 40-chalet hotel is owned by the Mason’s Group, which manages Mason’s Travel, one of the country’s main destination management companies. Nicole St. Ange, the public relations manager of Mason’s Group, told SNA that as is a tradition every year, the inspiration for decors at CaranaBeach comes from the blue warm sea that lapses the beach at the establishment. The hotel décor, which is blue, is also another great influence. 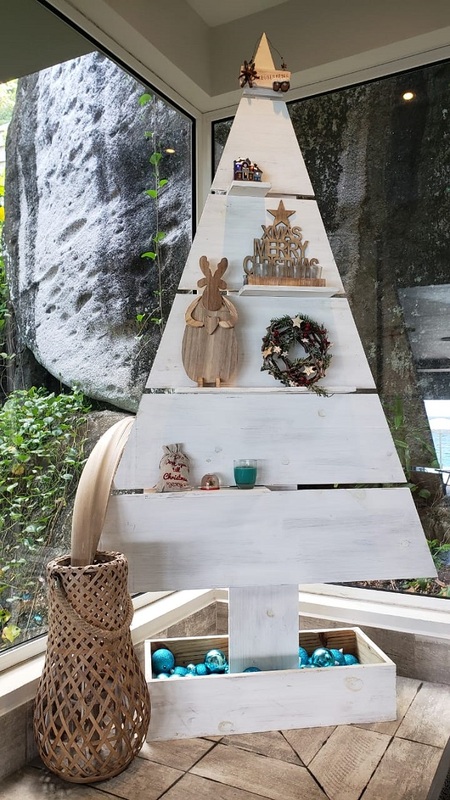 Though in a minimalist style, the décor stands out, especially the wooden Christmas trees. “Our style is very island rustic with use of natural woods, corals and hint of aqua which is the theme behind the brand of the hotel,” said St Ange. Gold and silver are the two main colours dominating the Christmas scene at Constance Ephelia. The hotels kept in mind that nowadays many people take pictures in a frame and hence built their own. Ornamented with green garland, white flowers, golden light and silver balls and star, the photo frame stands ideally next to the beach. This gives a wintery feel to the whole setup. Constance Ephelia made some of their trees out of wood. The tree right next to the frame is quite rustic, again going with gold and silver theme. Smaller wooden trees are scattered across the hotels, some with golden wrapped gifts sitting under them. 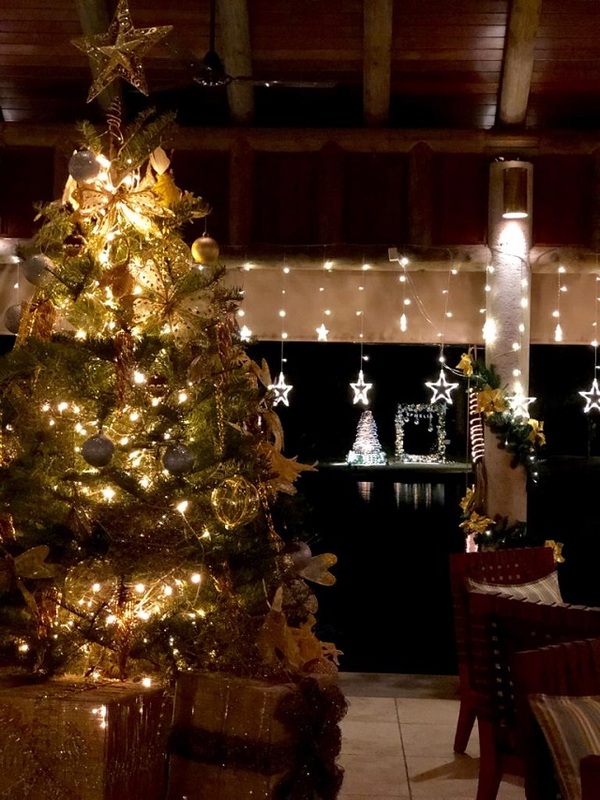 Among the many Christmas trees scattered across Kempinski Seychelles Resort located at Baie Lazare, the floating tree is bound to catch the eyes of many. The resort added white swans to the already unique floating trees this year. Once the sun sets and the Christmas lights are turned on, one is able to see Rudolf and two of his other reindeer friends ‘flying’ in the dark sky. Stepping into the resort, guests are transported into a winter wonderland when they reach the giant gingerbread house, surrounded by four snowy white Christmas trees. Not far away is the main tree standing in tall in the middle of the main hall. L'hôtel Kempinski Seychelles récompensé pour ses pratiques respectueuses de l'environnement.